To acquire PR or Permanent Residency in any country, you need to go through and complete the immigration process of that country. Australia is no exception in this regard, and hence, you have to fulfill the eligibility criteria and get selected for the desired Australian visa. 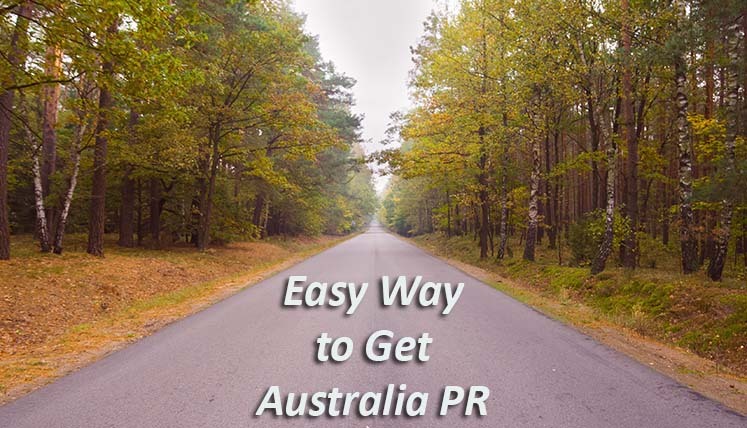 Now coming to the fact as to how easy it is to get Australian PR, the ease or simplicity of the whole process depends on the fact how prepared you are and how good your profile is. Let’s explore more about the preparation and good profile factors to understand this better. Also Read– How to immigrate to Australia from India? How prepared you are for Australia immigration? As they say, ‘well begun is half done’, if you are prepared enough to start well, rest of the process becomes easy. Gather as much as information you can about Australia immigration process, visa categories, guidelines, etc. Collect the required documents, i.e. IELTS Test result for English language proficiency as well as Skill Assessment report obtained from a recognized assessing authority. You may also take help from a genuine and MARA accredited Australian Visa Consultancy service to get vital assistance for Australia PR process. Australian immigration system is based on a point system, which reviews the profile of applicants and gives them the points based on their key credentials, such as, Qualification, Experience, Proficiency in English language, age, etc. The top scoring applicants are invited to apply for the visa. The General Skilled Migration program is one such point based program that includes three popular skilled visa categories of Australia, i.e. Subclass 489 Visa (temporary), Subclass 189 Visa (permanent), Subclass 190 visa (permanent). The minimum points an applicant need to qualify for GSM category visas is 60 points out of 100. Your profile score must be higher to be eligible to receive ITA (Invitation to Apply) for the desired visa. The point score of 60 makes you eligible as an applicant; however, if you want to obtain ITA for PR visa, you must try to score higher than just the qualifying marks. Hence, if you are well prepared and have a good profile, it certainly becomes easy to get Australian PR. How an immigration consultant can help you in immigration to Australia? Today, there are various visa consultancy companies active in India and abroad, which claim to provide you comprehensive consultancy service to apply for Oz visa. However, you must choose an immigration consultant that is MARA accredited and efficient in terms of obtaining visa approvals for its clients aka visa applicants. Visas Avenue Immigration is the accredited and immensely popular Australian Immigration Consultancy firm in India that specializes in Australia Immigration and PR Process. You may fill the free assessment form to confirm your eligibility for Australia. Alternatively, email your queries to info@visasavenue.com to receive call from certified Australia Migration expert at Visas Avenue. How to immigrate to Australia from India?